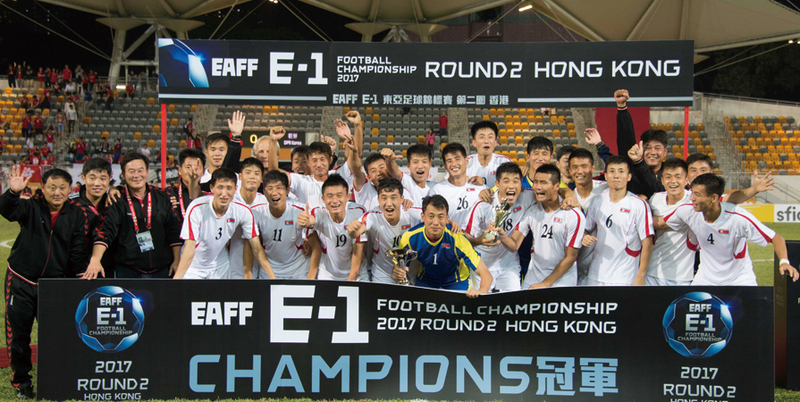 The EAFF E-1 Football Championship 2017 Round 2 HONG KONG Men’s Tournament took place between November 6 and 12, 2016. 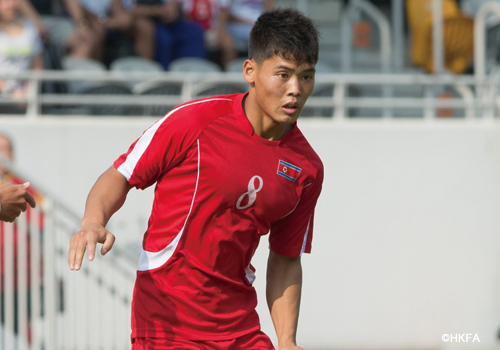 Hosts Hong Kong, Chinese Taipei, Guam, and DPR Korea competed for a spot in the final phase of the tournament, which will take place in Japan in 2017. 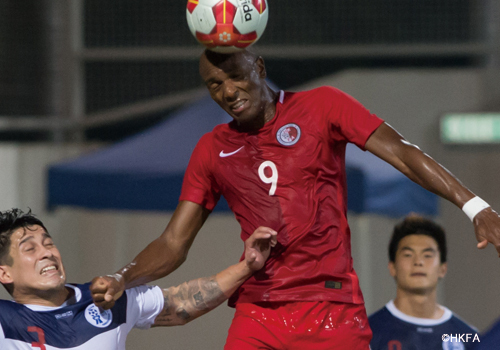 After six hard-fought games played in an often-packed Mong Kok Stadium, DPR Korea emerged victorious, having topped their rivals in all three games and conceding no goals. ANDERSEN Jorn's men were indeed the most mature of the four teams and showed throughout the tournament an impeccable defensive discipline, well-organised midfield and attack, and an overall top physical condition. 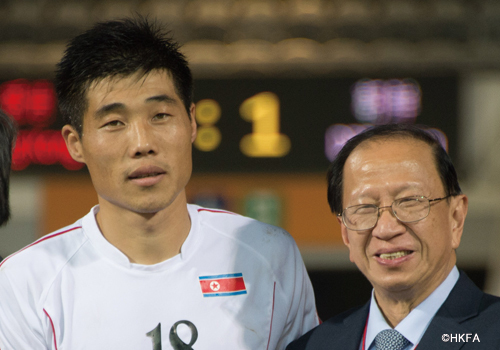 Besides the tournament’s MVP RI Yong Chol, who impressed for his composure and strength, other outstanding performers for DPR Korea were KIM Kuk Bom, a very dynamic presence in midfield, and JONG Il Gwan, who scored the winning goal in the crucial game against Hong Kong with a memorable solo run. Unbeaten goalkeeper RI Myong Guk as well deserves praise for his steady performance and three clean sheets. 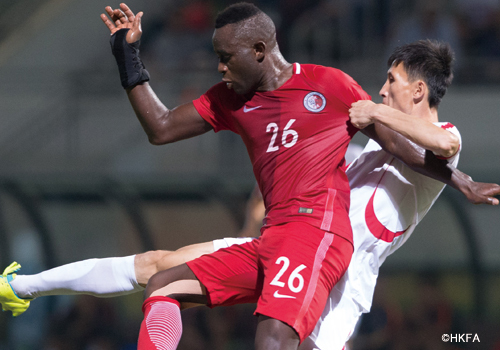 Despite their defeat in the last match against DPR Korea, Hong Kong showed an attractive brand of football that generated a great outburst of passion among the local supporters. 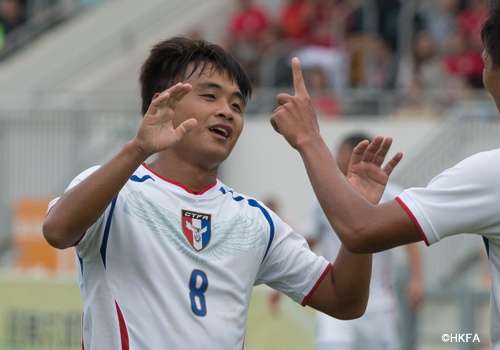 Though the hosts conceded goals in every match, the two bouts against Guam and Chinese Taipei were possibly the most thrilling games of the tournament and surely contributed to the growth of a new Hong Kong football culture. 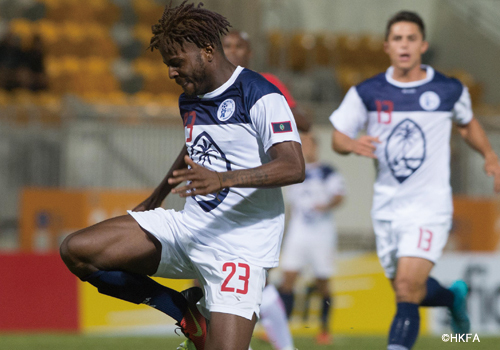 Nigerian-born AKANDE Alexander topped the scorers’ table with six goals, but he was only one of several exciting players who featured for the hosts. 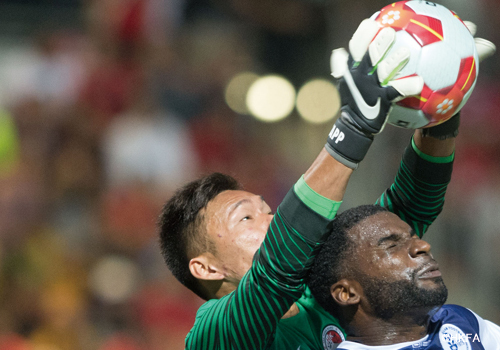 Honorable mentions should also go to goalkeeper YAPP Hung Fai, defender BAISE Festus, and midfielder FERREIRA LEONARDO Alessandro. 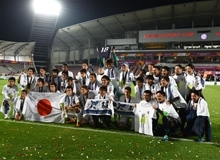 Chinese Taipei entered the tournament in dire straits due to the departure of former manager IMAI Toshiaki, who was substituted at the last minute by another Japanese veteran coach, KURODA Kazuo. Spirited defeats in the first two matches against DPR Korea and Hong Kong meant an early surrender for the islanders; however, with the return of Round 1 MVP LIN Chieh-Hsun to the squad, Chinese Taipei clinched a deserved consolation victory over Guam. An overall young team had his star in CHEN Po-Liang, an all-rounded midfielder whose talent is enhanced by his strong physicality. 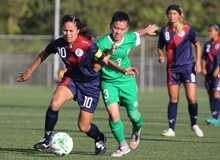 Guam, entering the tournament for the first time in recent years without their “guru” WHITE Gary at the helm, struggled to three straight defeats under new coach SAWATZKY Darren. However, not all was negative for the Matao, who exhibited some interesting individual talent with players such as captain CUNLIFFE Jason and striker MALCOLM Shane. Overall it was a very compelling tournament which demonstrated the steady growth of East Asian football, showcasing plenty of young talent who are ready to bloom in the coming years. 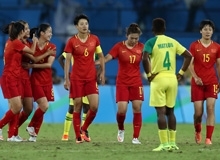 The Hong Kong federation’s level of organisation was top-class, and the Hong Kong supporters proved that despite the small size of their country, passion can make up for numbers. 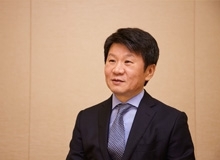 The tournament’s next appointment is for 2017 in Japan, where DPR Korea will join Japan, China PR and Korea Republic in the final phase which will crown the kings of East Asia.